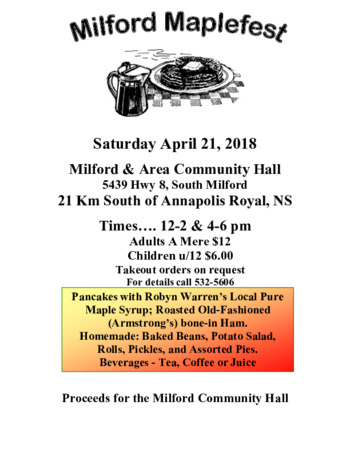 Menu: Pancakes with Robyn Warren's Local Pure Maple Syrup; Roasted Old-Fashioned (Armstrong's) bone-in Ham. Homemade: Baked Beans, Potato Salad, Rolls, Pickles, and Assorted Pies. Beverages - tea, coffee or juice. Proceeds for the Milford Hall. Come for a good feed! Adults $12, for children under 6 it's $6.